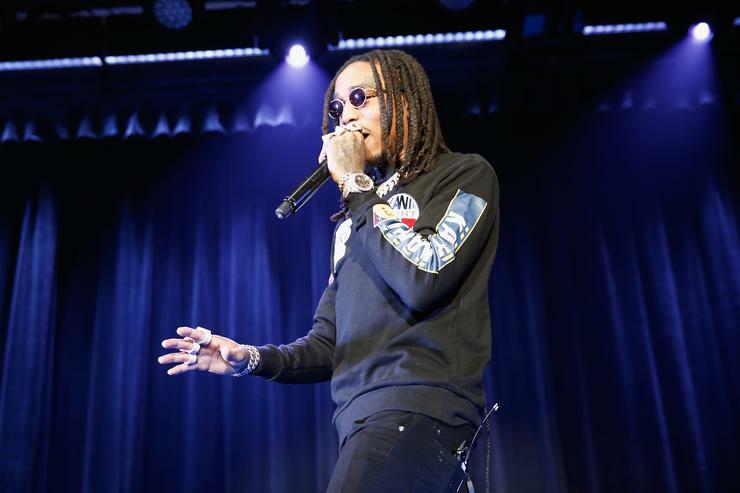 Quavo beat the hell out of a famed jeweler Sunday night after the Grammy’s. It looks like Quavo might be in a little trouble with the law. According to TMZ, the Migos rapper allegedly beat the hell out of a famous jeweler during a Grammys after party at 1Oak nightclub in NYC. The alleged victim, Eric the Jeweler, reported the incident Tuesday morning to law enforcement. Sources say Eric and the Migos were in the club early Monday morning, around 4:30 AM, when smack talk over money Quavo allegedly owed Eric turned physical. Eric told cops he got jumped by Quavo and another man who was partying with the group. However, sources say that the “other man” wasn’t Offset or Takeoff though. Eric reportedly left the club immediately after the altercation with minor injuries to the face, but as he left noticed his $30,000 chain was missing. He has since filed a robbery report with the cops for his chain. Law enforcement say the NYPD want to talk each members of the Migos group, as well as their manager. They also want to review security cam footage from 1Oak as well. So we’ll have to wait and find out what happens. Eric The Jeweler is a pretty big name in the industry though, having over 90K followers on Instagram and made pieces for Snoop Dogg, 50 Cent, French Montana and more in the past.